The 172 sales in November 2016 represent an 8.1% increase in volume when compared to the total for November 2015. 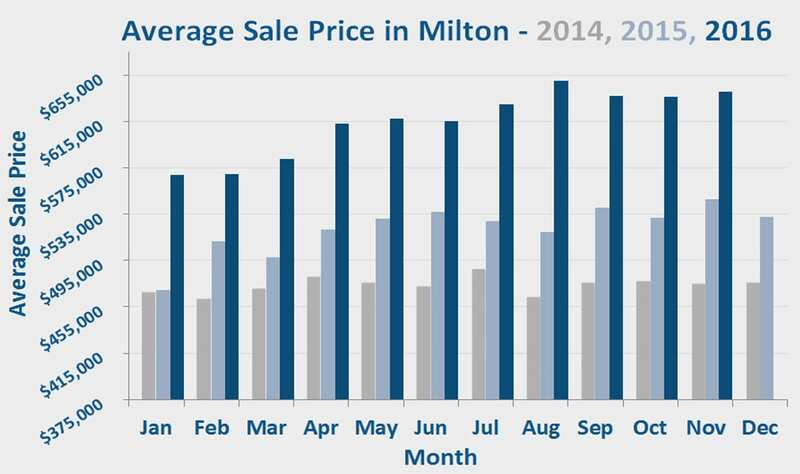 An average sale price of $640,200 marks another substantial increase of 16.9% over the same figure recorded last year. We’ve almost grown accustomed to seeing staggering gains in the market this year and there appears to be no signs of a cool down. While rising prices have many home owners overjoyed, first time buyers have been negatively impacted. Lately it has become more and more difficult to enter the market, especially with the recent tightening of mortgage rules back in October. To help ease the burden, November 13th Finance Minister Charles Sousa approved doubling the first time home buyer land transfer tax credit up to $4,000. To offset this change, it was also announced that land transfer tax on property purchases over $2,000,000 would be increased. We’d like to use this opportunity to wish all our readers and friends a Merry Christmas and a happy holiday season. We have had a fantastic year and would like to thank not only our clients, but anyone who takes the time to read this newsletter. 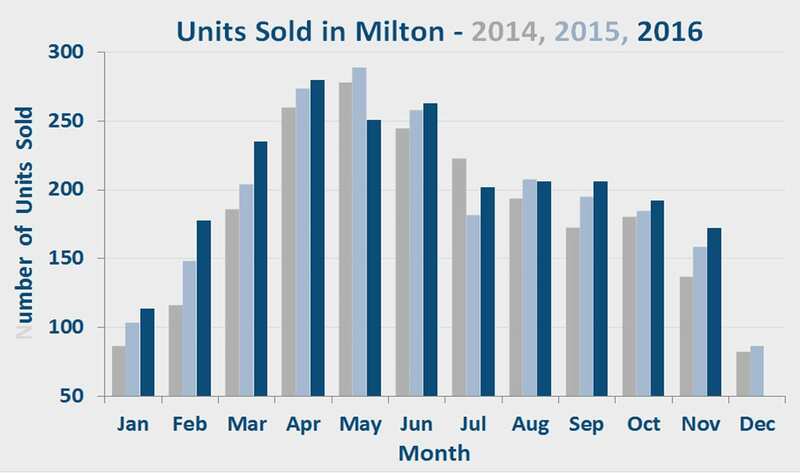 We put a lot of effort into our product and love helping to keep Milton informed on all matters real estate related.